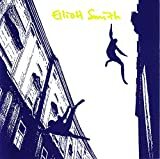 Elliott Smith�s self titled release is a continuation of what he does best, intimate acoustic folk that makes you feel like he�s in your room playing it just for you. The songs are as low-key as it comes and his frail and fragile voice whispers over them, with moments of emphasis. I believe that the songs would be a lot better if there were a little more emphasis on dynamics, as we all know already that he is a good songwriter, but the absence of a full band and better recording production is what he lacks. Some say it is his appeal that his music was so intimate, some say it was his weakness, maybe both.